Romanian Presidency of the European Council would try to find out solutions for reducing regional development divergences and for cutting bureaucracy at European level, Romanian Finance Minister Eugen Teodorovici said on Friday at the Informal Meeting of the EU Finance Ministers. "The European Economic Growth Agenda has to deal with the issue of regional development differences. The Romanian Presidency says in its motto that cohesion is a common European value, and that is why we attach great interest to the solutions for eliminating these divergences," said Teodorovici who presided over the meeting. "We need to reduce bureaucracy at European level; we need to make the European institutions more flexible in order to react more quickly and better to European needs. In addition, we have to be accountable for the administrative costs of the European institutions," he said. "The new 7-year program needs to be carefully assessed and we need to coordinate priorities at national and European level. The Multi-annual Financial Framework already contains provisions to ensure that European funding serves European financial goals and is not undermined by unhealthy policies," said the Romanian minister. According to Teodorovici, two important documents were discussed on topics such as innovation, climate change, convergence in the EU, but also the strengthening of relations between Member States which do and which do not belong to the euro area, as well as increased economic resilience by stimulating investment and structural reforms. The situation of the union of the capital markets was also debated at the meeting. "We have reached a political agreement with the European Parliament on 9 dossiers in this area and there are still 4 files in intense negotiations. Our commitment to the presidency is to continue working with both the European Parliament and the European Commission in the coming days for the legislative proposals that are still open," he said. 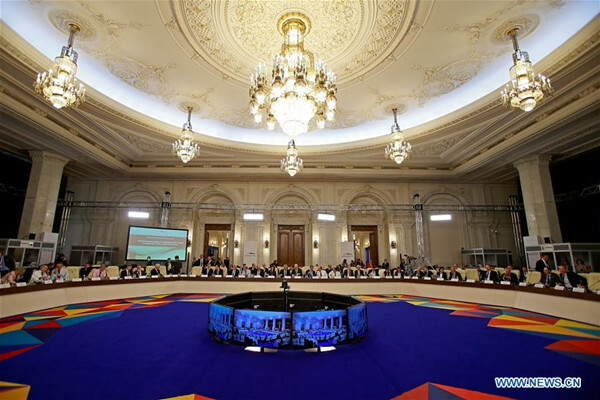 The Informal Meeting of the EU Finance Ministers took place on Friday and Saturday in Bucharest. Romanian Presidency of the European Council would try to find out solutions for reducing regional development divergences and for cutting bureaucracy.